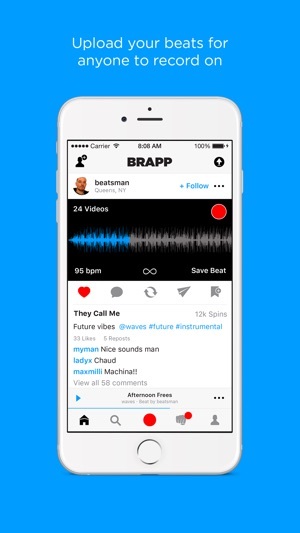 Brapp is a simple way to create and share musical moments. 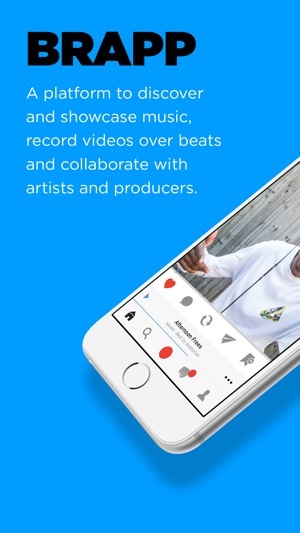 Producers can upload their beats on Brapp and then anyone can record one minute videos on top with free and powerful audio effects, and share with their followers. 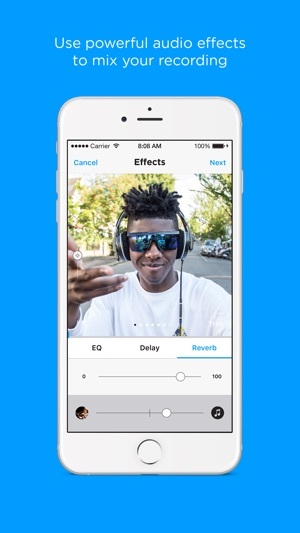 ⁃ Record videos on beats by producers around the world using free and powerful audio effects. ⁃ Upload beats for anyone to record on. ⁃ Connect with artists, producers and fans globally. ⁃ Discover new musical collaborations as they happen. We release regular app updates to add new features and improvements to the Brapp experience. Join us at community.brapp.tv to share any thoughts and we’ll see if we can make them happen, thanks! 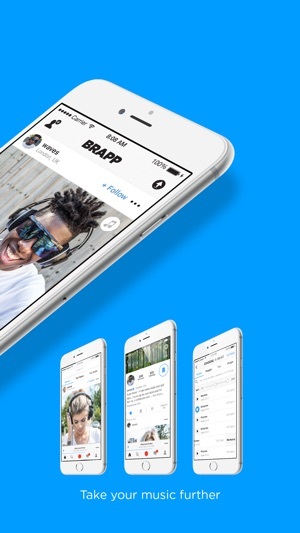 BrappApp is a great place to not only showcase your musical artistry but to meet people from all corners of the globe and create a network of rappers, producers, musicians and amazing singers. It is a personal mobile studio that is open 24 hours a day. So sick.